Drew Mitchell, No. 11, wound his way through the Argentina defense, breaking tackles and sending a pass out to Adam Ashley-Cooper for his third try of the game. Penalty kicks aren’t enough. Six of them didn’t do it for South Africa against New Zealand Saturday, and five didn’t work for Argentina on Sunday against Australia. Ashley-Cooper scores his third try of the game. A team needs tries to win, and Australia had plenty of them — three from Adam Ashley-Cooper alone and another from Rob Simmons, who started the scoring for Australia with an intercepted pass and a gallop in for a try just more than a minute into the game. Bernard Foley converted three of those tries for another six points and added a penalty kick for three more, giving Australia a 29-15 win. 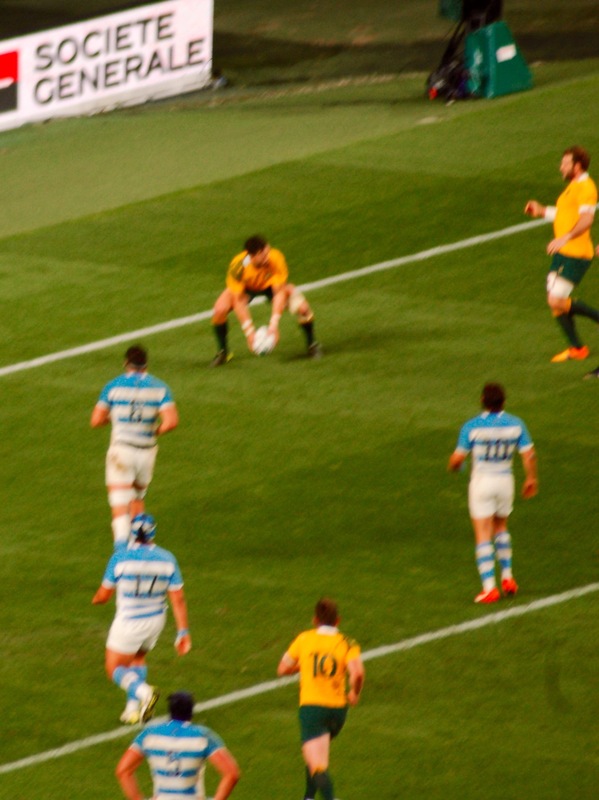 Argentina had trouble moving the ball into Australian territory and could only collect penalty points on five kicks by Nicolas Sanchez. Australia will play New Zealand on Saturday, Oct. 31, in the finals of the Rugby World Cup 2015. That Southern Hemisphere showdown will be back here at Twickenham. Argentina will meet South Africa, who lost to New Zealand 20-18, in the Bronze Final on Friday night at the Olympic Stadium in London. 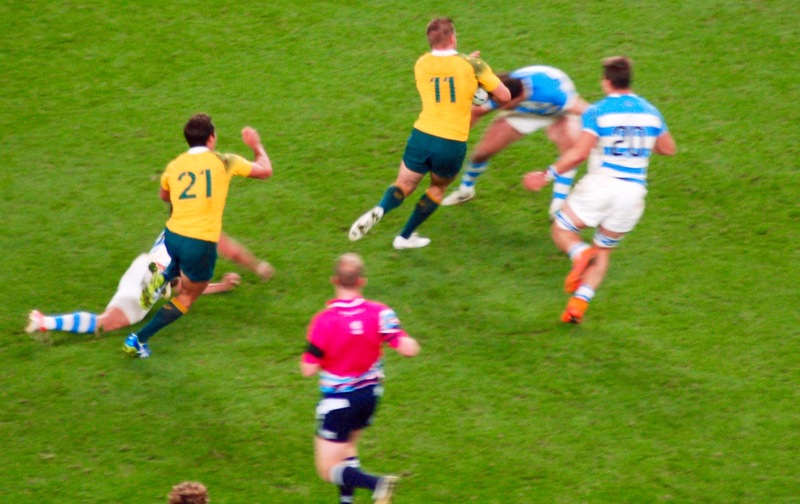 Posted on October 25, 2015 October 25, 2015 by jbsaulPosted in RugbyTagged Argentina, Australia, Bronze Final, Final, New Zealand, Rugby World Cup, RWC, South Africa.